8/10/2018 - In many tomato producing countries in Europe, the first plants for the new season are entering the greenhouses. An ideal moment for Biobest and DCM to present their new PMV®-01 movie. 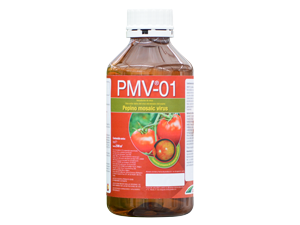 PMV®-01 is a widely used plant vaccine that protects tomato crops against aggressive attacks by Pepino Mosaic Virus. One application right after planting provides protection for the rest of the season. The movie is available now with subtitles in four different languages: English, Dutch, French and German on the Biobest Group YouTube channel and on the PMV®-01 website (http://pmv-01.com/en). Click here to watch it.